Visit several of Guatemala’s Spanish colonial towns and modern-day Mayan villages on this 5-day tour with an informative and entertaining guide, including round-trip transport from Guatemala City. 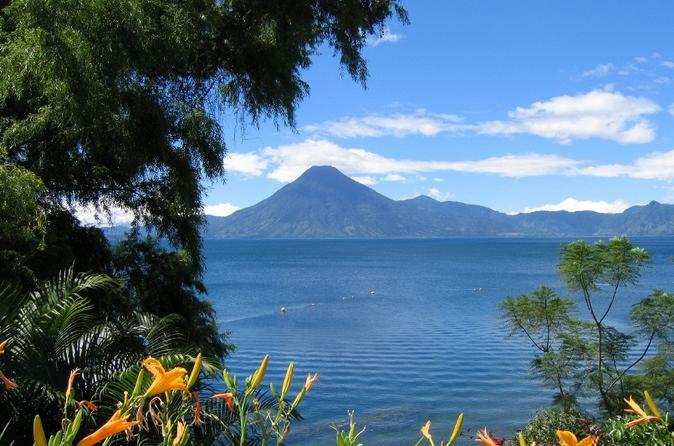 You’ll learn about local history and culture amid gorgeous natural surroundings, with a boat ride across the volcanic region of Lake Atitlán. Be amazed by the diversity of daily customs, crafts and clothing in Antigua, Chichicastenango, Panajachel and Santiago Atitlán! With lodging for four nights plus several meals and transportation between all locations included, you’ll find this tour a perfect way to enjoy Guatemala’s amazing places and cultures.